Currently, the foreign direct investment (FDI) in India is allowed thorough 2 routes viz. Automatic Route and Government Approval Route. Most of the key logistics related services are covered under the 100% automatic route for FDI. Hence, there is no specific approval required from the Foreign Investment Promotion Board (FIPB) or the Cabinet Committee on Economic Affairs (CCEA). Current FDI regulations permit 100% FDI via the automatic route in areas like Transport services, Transport incidental services, Rental and leasing of transport vehicles, rental of transport equipment, storage services and warehousing services. While FDI has not yet been permitted in the transport operator service, there is still sufficient scope for the FDI to add value in the support services space. 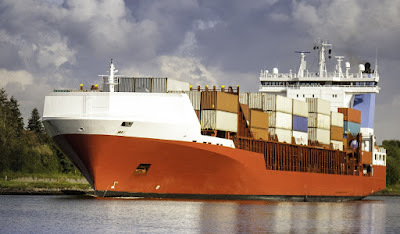 Some of the mega logistics management companies in the world like NYK Line, Hitachi Transport Systems, Sembcorp Marine, Kerry Logistics, TNT and FEDEX are already present in India and have already acquired stakes in Indian companies through the M&A route. It is interesting to note that nearly 35 out of the top-50 global logistics companies already have a presence in India. Their presence could either be through the M&A route, subsidiary route, JV route or liaison route. The tax incentives are also quite attractive. For example for the cold chain and warehousing facility, there is a 100% deduction on capital expenditure incurred during the year (other than acquisition of land, goodwill and financial instruments). The question then is why is FDI not coming into India in a big way? The answer has partially to do with policies and partly with the ease of doing business. India still ranks 133rd in terms of ease of doing business. China is ranked 89th. This ranking has improved marginally after the efforts of the present government but there is still a long way to traverse. It is not just about ease of doing business. Even in terms of starting a business, enforcing contracts and winding up a business, India ranks way behind other emerging market economies like China, Russia and Brazil. Although logistics FDI is defined as under Automatic Route, there are Ministry level clearances that need to be obtained. Additionally, there are environmental clearances which can be quite a cumbersome task. There is also the risk of rehabilitation and relocation clearances. If your project displaces the local population or impacts their livelihood, then the businesses need to focus on how to relocate and offer alternative livelihood to those displaced. More often than not, such activities acquire political and activist overtones and global business houses may want to avoid getting embroiled in such matters. Adjacent infrastructure development is a key risk for many such projects. For example there may be a projection of revenues based on traffic and demand which will be based on certain assumptions. If the adjacent infrastructure, on which you have no control, does not keep pace, then such projections can go awry negatively impacting the financial viability of the project. Time and cost over-run is another risk that FDI in India faces. In India activities like land acquisition, rising cost of material, rising cost of equipment can result in time and cost over-runs. Since many of these activities have regulatory implications, the investor is not in control of many of these things. To cut a long story short, the challenges for FDI in the logistics sector in India are many. But then so is the opportunity. Logistics is already a $400 billion industry and is likely to be a $1 trillion industry in the next 5 years. This is the one area that can promise humongous growth for foreign investors. Secondly, logistics is the missing piece in catapulting India’s GDP growth from 7.5% to 10%. We have seen in China how infrastructure and logistics can combine to give a major thrust to growth. India is in a similar sweet spot. Thirdly, there is a fairly FDI-friendly regime as far as the logistics sector in India. There are challenges on the ease of doing business but the current government is moving on a war footing to make India more competitive and friendly to foreign investors. It is more a question of when; rather than whether!